Still Star-Crossed Photos from "In Fair Verona, Where We Lay Our Scene"
Shakespeare never gave a reason for the rivalry between the Montagues and Capulets. Sometimes people just don't like each other. While the rivalry is strong it can't deter love. Romeo Montague and Juliet Capulet were meant to be together forever. And that's exactly how they end up. We all know the story and how it ends, but what happened after? 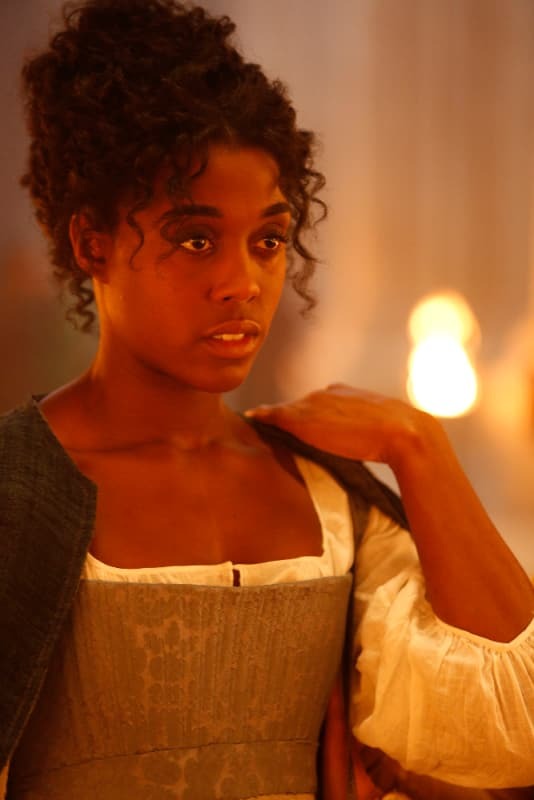 That's what Shondaland will explore in Still Star-Crossed, a new period drama based on the 2013 novel by Melinda Taub. We can't imagine that the rivalry calmed down after their tragic deaths, but how bad did it get? Will anyone be able to broker peace between the two families? "In the wake of Romeo and Juliet's tragic deaths, the Montague and Capulet rivalry escalates. A new royal takes the throne in Verona and struggles to determine what is best for his city, which is at the epicenter of mayhem." You can view our Who's Who slideshow to familiarize yourself with all the players before the show airs. Still Star-Crossed, "In Fair Verona, Where we Lay Our Scene", premieres on Monday, May 29 at 10/9c on ABC! Be sure to check back here for our full review after the episode airs! Rosaline is looking a little concerned here. What is she up to and why? 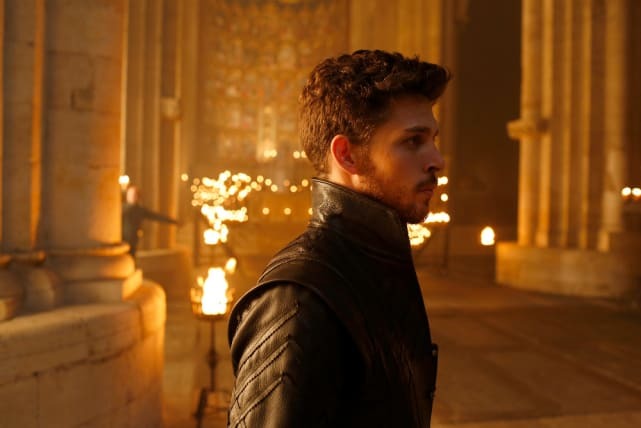 Benvolio also seems to be in the church. Is he about to be a witness to something? 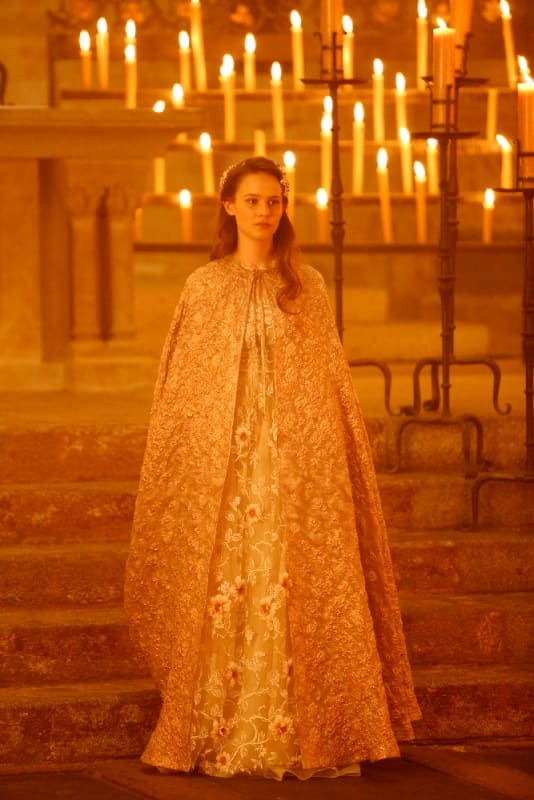 Clara Rugaard plays Juliet who is a vision in white here amid the candles in the church. 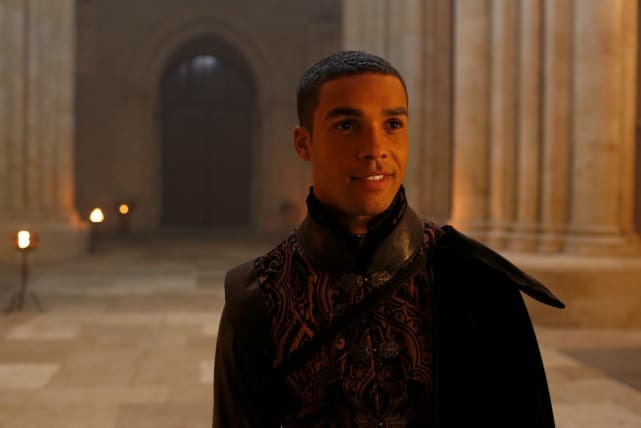 Lucien Laviscount plays Romeo who is secretly meeting the love of his life. We knew it was coming. The story hasn't changed. Romeo and Juliet's lives still end tragically. It's understandable that Lady Capulet would be upset over her daughter's death, but who is she screaming at?